United States Treasury authorizes commercial ferry services to Cuba for the first time in more than a half-century. 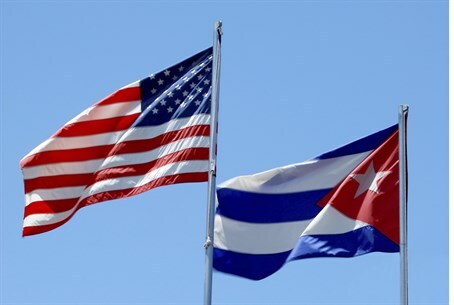 The United States authorized commercial ferry services to Cuba for the first time in more than a half-century on Tuesday, another major step in improving relations between the two countries, reports AFP. In what was hailed by ferry operators as "a historical event," the Treasury lifted a decades-old ban and at least four Florida companies said they had been licensed to launch boat services to the island. The ferries will also be allowed to carry cargo to the communist island of 11 million, which sits just 150 kilometers (90 miles) off the southern tip of Florida. Four companies confirmed they had received licenses from the Treasury's Office of Foreign Assets Control to provide ferry travel. "Today's action was a great step forward," Joseph Hinson, president of Miami-based United Americas Shipping Services, told AFP. Havana Ferry Partners of Fort Lauderdale, Florida, said on its Facebook page that it too had received a Treasury license for ferry services from four Florida ports, according to the news agency. "This is a historical event. Thanks to President Barack Obama, to whom we are very grateful, for his leadership," the firm wrote. Two others, United Caribbean Lines and Airline Brokers, a travel agency, said they also received licenses. The moves come amid a landmark thaw in relations initiated by Obama on December 17, when he broke a nearly six-decade estrangement between the two countries by lifting sanctions on travel and some trade, as the first step toward normalizing relations. The White House recently took the first step toward removing Cuba's longstanding designation as a "state sponsor of terror," which had added to the tough commercial embargo on the island since the beginning of the 1960s. Cuba was added to the U.S. terror list in 1982, originally designated for its support for armed revolution in Latin America. The Cuban foreign ministry welcomed Obama's move to drop the country from the terror list, saying Cuba should never have been on the list to begin with.